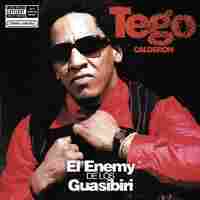 Puerto Rican Hip-Hop Icon Tego Calderon Mixes Prose And Politics The legendary rapper is responsible for some of Latin hip-hop's most danceable music. 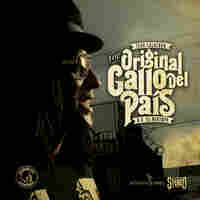 His lyrics also advocate for the Puerto Rican independence movement. 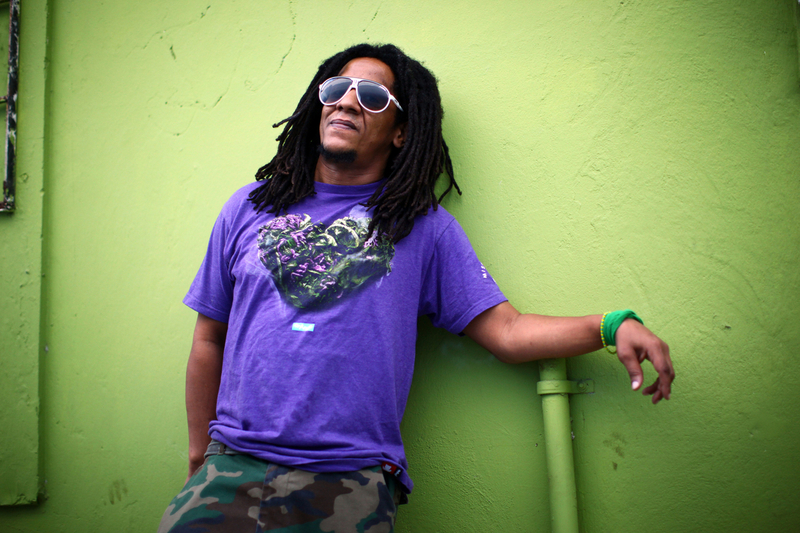 Puerto Rican hip-hop artist Tego Calderon outside his studio, El Sitio, in Santurce, San Juan, Puerto Rico. When the Morning Edition team arrived in Puerto Rico to report our series on the island's difficult situation, one of the first things we noticed was, strangely enough, the sound of the coquis — tiny frogs whose mating chant goes on throughout the night. In fact, the sound of music — whether by the coquis, from stores, or blaring from passing cars — accompanied us continually. The island seems to always keep moving to the sound of various beats. It would be too easy to arrive at a location as a journalist and shuttle from one story to the next — crime, unemployment, exodus. But Puerto Rico kept reminding us at every turn that this is, in fact, a place of tremendous beauty and soul. 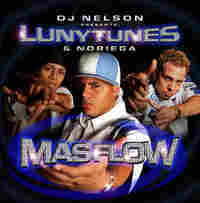 And part of that was the music and joy of living that the people exuded, even during their most troubled time. We wanted to make sure we did justice to this place's name — "the island of enchantment" — and finish a series on a very difficult topic with a discussion about some of the things that make this place so charming. Undoubtedly, that is its musical richness. In addition to hearing some of the island's traditional bomba music, we paid a visit to one of the most legendary rappers in Puerto Rico, Tego Calderon. He is responsible for some of Latin hip-hop's most danceable music, but is also vocal about Puerto Rican independence — his lyrics are some of the more politically deep ones in Latin music. For more music from Puerto Rico, check out NPR's Alt.Latino for a special Puerto Rican music edition.